The church room is adjacent to the church, has good wheelchair access and outside security lights. There is car parking for approx 10 cars along the front of the building, plenty of on street parking and with extra parking on a grass area round the back of the hall, recommended use in dry weather only. The hall is ideal for parties, fundraising events, meetings, band practice, coffee mornings, etc. The room would hold 60 – 70 persons comfortably, we would recommend no more than 60 for a sit down meal. There is adequate large and small tables to cover different events and the chairs are stackable with seat cushions. 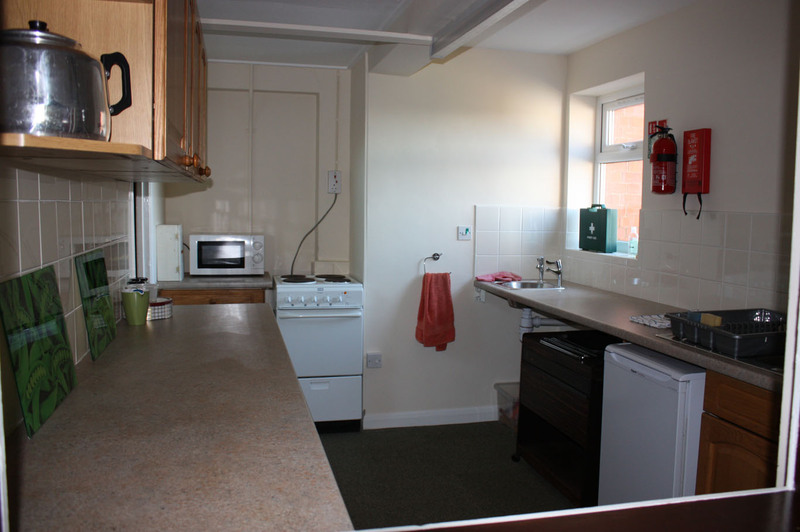 The kitchen is well equipped with cooker, microwave, fridge and kettles. There is a good supply of crockery, cutlery, glasses, tablecloths and tea towels. There are two toilets, one being for disabled use and baby changing. There are two fire exits as well as the front main entrance. A guided tour can be arranged for anyone wishing to see the premises before making a booking. Charge for the hall is £7.50 per hour which includes heating and use of kitchen facilities and equipment.